Not much has changed to the way jump lists work from Windows 7 to Windows 8. Although, most Windows 8 users might think jump lists are a waste of time with Windows 8’s new Modern look and feel. However, if you’re using to utilizing jump lists, you know how beneficial they can be and our guide will show you why. We’ll also show you how to get started with jump lists in Windows 8. Windows previously used two types of jump lists: Start Menu and taskbar. 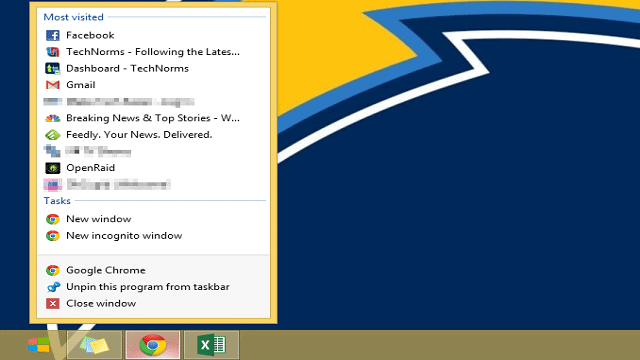 Obviously in Windows 8, we’re working with the taskbar jump lists since the Start Menu no longer exists. 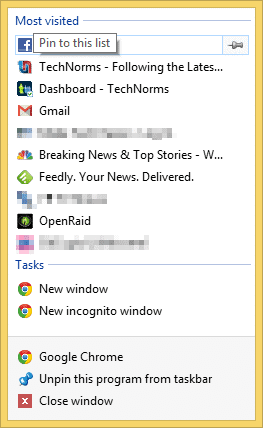 Jump lists are used by pinned items on your taskbar to create a type of recently used item list. They can launch a program, close it, utilize open windows within a program and contain tasks from that software title. Right-click on any pinned program to see if it utilizes the jump list feature. You’ll see a variety of information available if a jump list works for a particular program. This can include most used documents or locations. You can click on them for quick access at any time. Many jumps lists will contain tasks. These can include opening a new program, window or other function integrated into the jump list. For example, in a Chrome Web browser jump list, you can open a new window or incognito window in its jump list. At the bottom of a jump list, you’ll have the jump lists options, such as unpinning an item and thus deleting the jump list. As well as being able to close any open windows. Any item that’s most visited or recently used in a jump list, you can pin permanently to the jump list by right-click the right side of the link. Now, you’ll have a permanent link to that item. 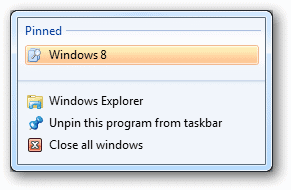 In order to start a jump list, you need to pin a program, file or folder to the taskbar. 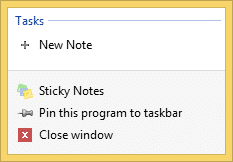 Once pinned, you can right-click on the item in the taskbar to see if it has a jump list. If it does, you can start using it immediately. 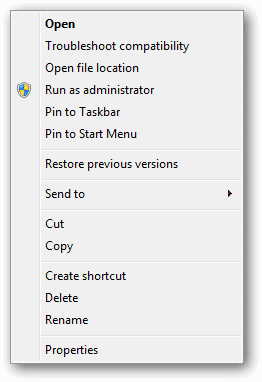 Save the file somewhere easily accessible, then drag and drop it into the taskbar. 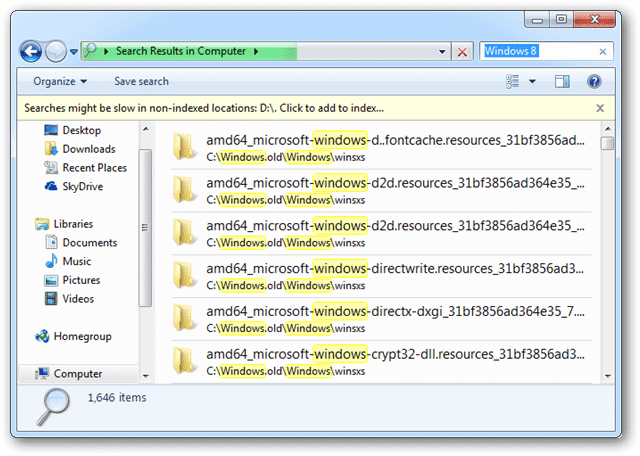 You’ve now pinned a search in Windows 8. If you use Word or Excel or another program that stores templates, you can save those templates someone and then drag it into a program’s jump list. This allows you to access the template like you would a new window. Are jump lists even worth the trouble? Jump lists can be beneficial to any Windows 8 or Windows 7 user. While the functionality is the same in Windows 8, they can be one way to take control of the desktop with the loss of the Start Menu.